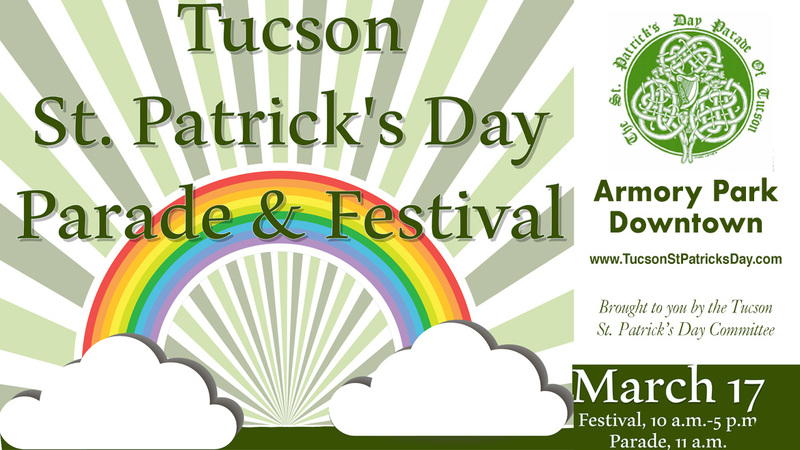 ​​The St. Patrick’s Day Festival opens at 10:00 a.m. Saturday, March 17 at Armory Park on south 6th Avenue, in downtown, with live Irish music, dancers, entertainment, children’s game area, and food and merchandise vendors. Learn about Irish history by visiting the cultural organizations in attendance at the festival. ​​The one hour Parade will begin at 11:00 a.m. at Stone and 17th Street, making its way through downtown and ending at Armory Park. ​The 2018 parade will feature marchers including floats, military units, local dignitaries, media and entertainment personalities and civic, cultural and social groups. The Tucson parade has a 31-year history and provides a good time for the entire family!